I open this review with two immediate admissions that should dismiss even the illusion of objectivity. First, London is by far this writer’s favorite city. 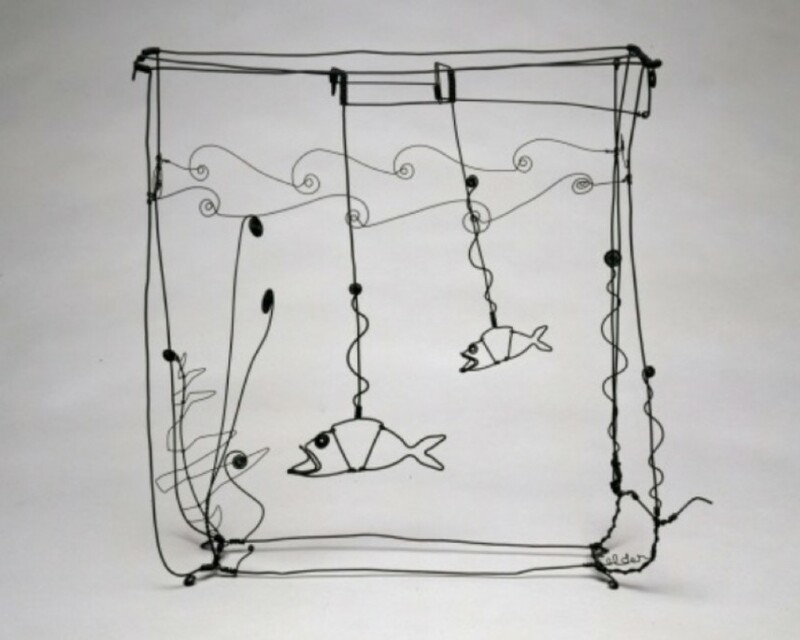 Second, Alexander Calder is easily my favorite artist in any medium. That said, the fact that the city and Calder’s work came together so completely and perfectly at London’s Tate Museum this Spring became an embarrassment of riches. Through April 3, 2016, The Tate Modern is featuring Alexander Calder: Performing Sculpture. Assembled with pieces collected from around the world, including works curated by The Calder Institute in New York, the exhibit offers the ultimate, thorough examination of Calder’s unique 3D sculptures — including the genre of mobiles that the artist is widely credited with creating. While trying his hand at painting and more traditional sculpture, Calder’s educational history as a mechanical engineer led him to explore and create art in three dimensions that moved wither via motors or simple gravity. His mobiles move in the room’s air currents — creating a work of art that changes before the viewer’s eyes in real time. The concept was groundbreaking when it debuted decades ago and remains unique in the 21st Century. I find the most appealing aspect of Calder’s work is the spirit of fun and even whimsy the world famous artist brought to his work. While the American master was serious about creating pieces that changed how the world viewed sculpture, there’s a spirit of creating simply to create that marks all of Calder’s work. For example, there is a subset of his mobiles that feature small gongs. As the moving sculpture circles itself in any room’s air patterns, eventually (but unpredictably) an arm of the mobile will strike the gong — potentially startling the museum patrons. Calder would say it was to add the sensory element of sound to sculpture. But, I’ll always wonder if the man was amused by saying an artistic “Boo!” to his potential fan. 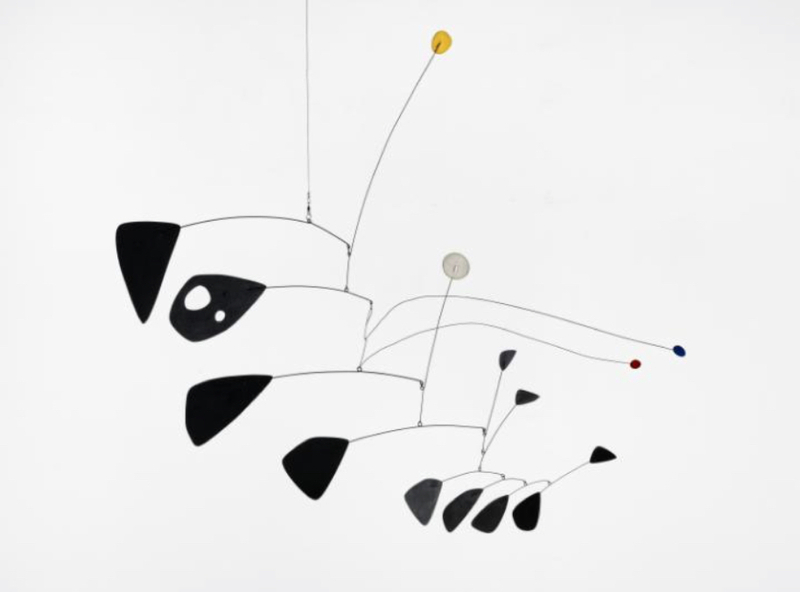 In addition to Calder’s mobiles and mechanical sculptures, the Tate Modern’s exhibit includes another one of the artist’s famous talents. 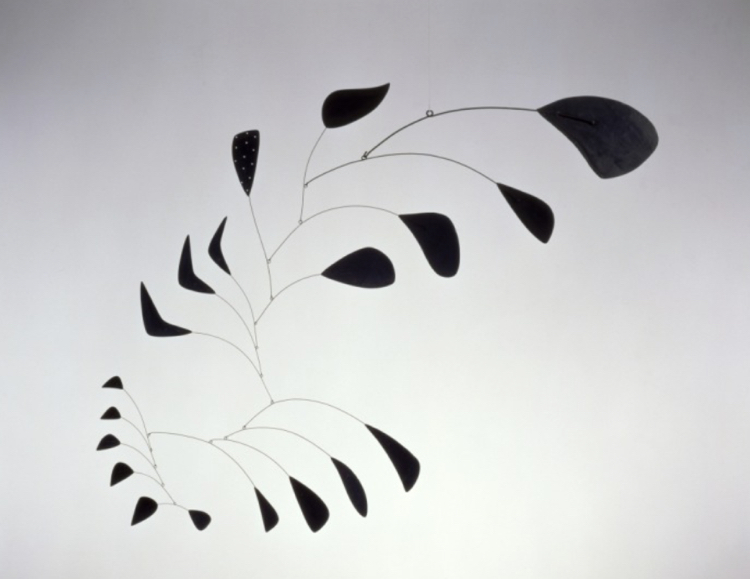 Calder could take simple metal wire with a pair of pliers and “sketch” a subject’s face or full body in three dimensions. 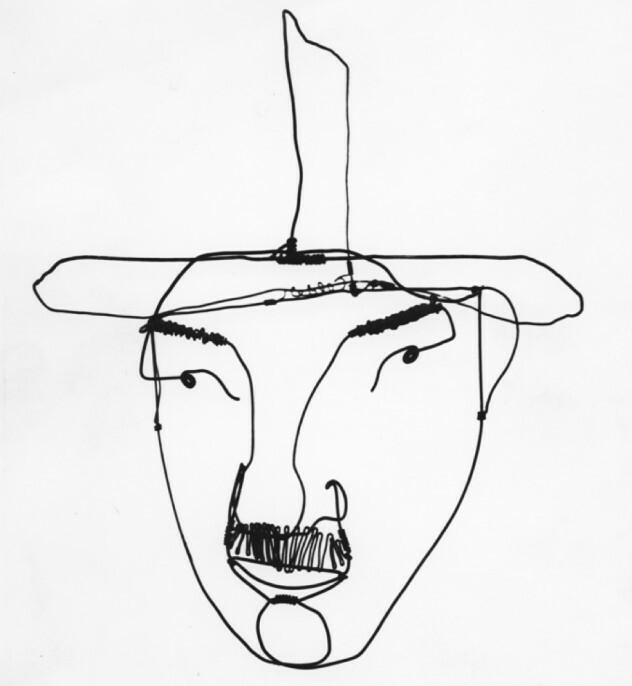 Calder would thus sketch his friends from Josephine Baker to Joan Miro. However, the most amazing aspect of these smile wire creations is the shining of a light through them projects another copy of the image to the wall behind them — creating yet another image of the subject with new lines and dimensions. Now, just this week, London was named the “most tweeted about” destination in Europe. Personally, I would rate exhibits like this as a prime reason why. 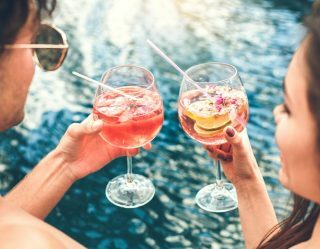 There are only so many cities on Earth that have the artistic cache and the influential museums powerful enough to draw together such a complete retrospective of a major artist’s work. 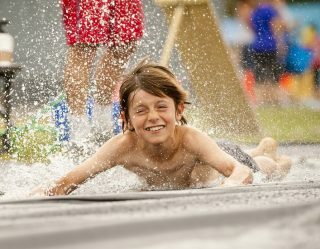 To get paid to attend this show and write about it is taking money for having an outstanding day enjoying art. I would be ashamed, but I’m not. Just as Alexander Calder enjoyed his work, I decided to do the same.